I don’t think I’m wrong in assuming that if you asked many people – even perhaps most, “If money was no issue and you could afford to sit by a pool or a beach for the rest of your life, would you?” – that the resounding answer would be yes. 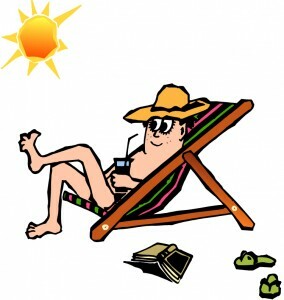 We seem to have some romantic notion that permanent relaxation is quality of life. I’m not saying a nice retirement and doing what you want to do after a 40-year career isn’t earned. Of course it is, but to sit and stare out the window (or on a beach) waiting to die? What kind of life is that? I’ve talked to people who are barely 40 years old and, if they could, would sit by a pool for the rest of their lives getting a tan. How boring… and what a waste of a precious life. I like the way Mr. Saxena thinks. Perhaps we don’t have to choose to save lives, but the gist of the quote is to do something that matters. Each person’s perception of what ‘matters’ is different. If you work in retail and love providing good service to people so they find the things they need, that’s great! It’s something that matters. If you work as a cook and love to prepare good food for people, that’s great, too! Doing something with our lives doesn’t mean aspiring to win a Nobel Prize. It just means being happy in your career or making the best of your situation. If you’re not thrilled with your job, then choose some fulfilling volunteer work in your spare time. There are always choices. The world can be a big scary place. There is illness. There is crime. There is fear. There is illiteracy. There is hunger. There is war. There is violence. It’s hardly a time in history when we can afford for people who have yet to find a grey hair on their head to put their feet up and retire. The world needs you! I read a quote from a business leader the other day in which he said the thought of going on vacation and doing nothing was repulsive to him. Sitting around a pool? Hanging out on a beach all day? Not for him. He may have chosen other things, but he did not have the ‘doing nothing’ gene. And he’d probably never retire, either. I can ‘do nothing’ with the best of them, and I certainly appreciate quiet time alone on the sofa with just me and my thoughts. This may sound silly if you haven’t already contemplated the notion, but just the act of thinking is hard work. Figuring out problems. Making life plans. We need to give more respect to the act of thinking during quiet time. Turn off the television. Turn off the music. Find some place to do a bit of contemplation. Yes, that’s a healthy thing to do. And yes, even beside a pool or on a nice beach somewhere – but not for the rest of your life! I mean, how much thinking do you need to do? You have to take action to make things happen. No magic genie is going to appear and drop bags of money at your feet. All I’m trying to say is that the world needs everyone to do their part as long as they can. If you’re 65 and have worked for 45 years, well consider yourself off the hook – up to a point. I mean, 65 is still practically a kid these days. You still have a lot to offer! But honest to God, if I hear one more person (mostly on Facebook) start pining away for retirement on a beach when they’ve barely hit 40, I think I’ll hand them a garbage bag and tell them to start cleaning up that dirty old beach! Make yourself useful! There’s way too much going on out there to sit back and do nothing. Each one of us has an obligation to contribute to society as long as we’re healthy and able to do so. The world doesn’t owe us a thing, but we sure do owe it something. At the very least, we owe it our best self, not lying on a beach for 30 years when there are starving children in the world. 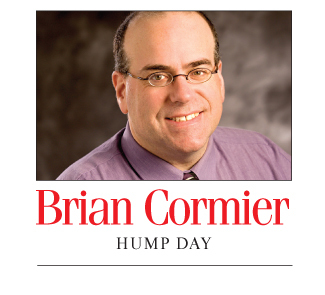 ← The Jan. 12-18, 2015, edition of Brian Cormier’s Weekly Update is out!